UW-Green Bay’s float entry in this year’s holiday parade was fantastic for many reasons. First, the design was impressive with three life-sized Jack-in-the-Boxes. But more importantly, to represent this year’s Green Bay Holiday Parade theme, “Toyland Christmas,” the UWGB parade committee collected toys for children in need as part of the U.S. Marine Corps’ local Toys for Tots campaign. The float was filled with toys that will be donated and the community was able to see just how supportive UW-Green Bay is of our community. 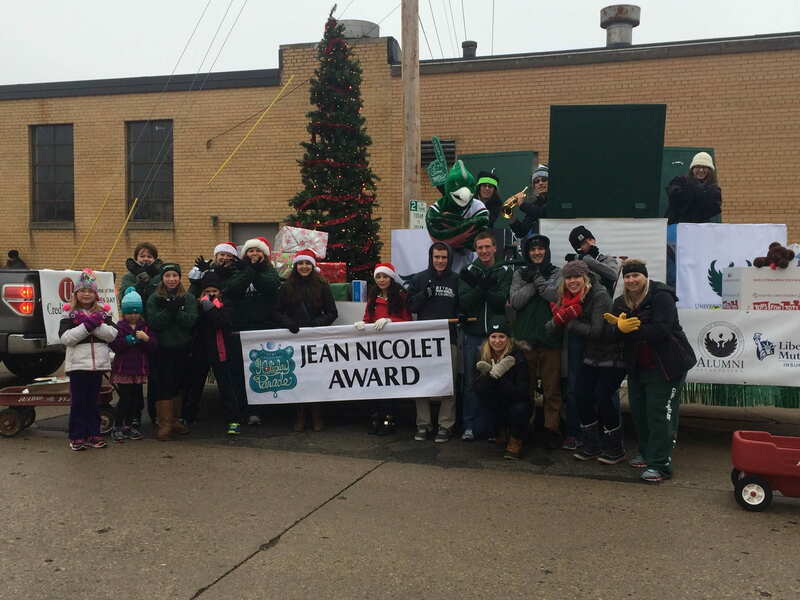 Even the parade judges agreed as they awarded UW-Green Bay with the Jean Nicolet Award for the float with the best parade theme portrayal! It was a great day of collaboration between students and employees and a great day for UW-Green Bay! This entry was posted in Events, News and tagged Green Bay Holiday Parade on November 24, 2014 by moodyk. The coldest temp for the Green Bay Holiday Parade in recent memory didn’t stop UW-Green Bay from representing in full force. 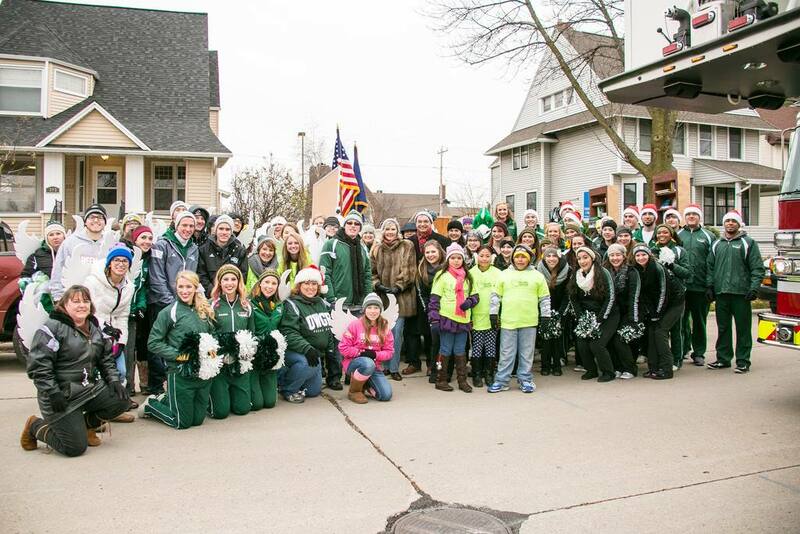 Again, more than 75 staff, students (including athletes, cheer and dance teams), alumni and community members represented your University with its elaborate, (we think award-worthy) entry in the Green Bay Holiday Parade, November 23. Check it out at Green Bay Holiday Parade. 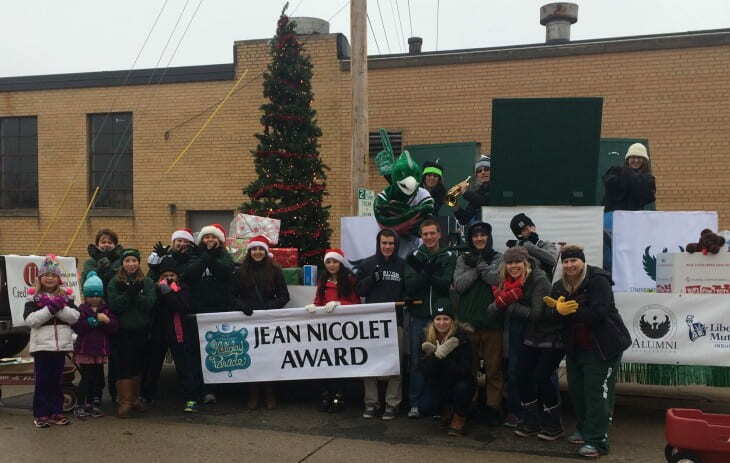 This entry was posted in News and tagged Green Bay Holiday Parade on December 13, 2013 by moodyk. Posts tagged "Green Bay Holiday Parade"